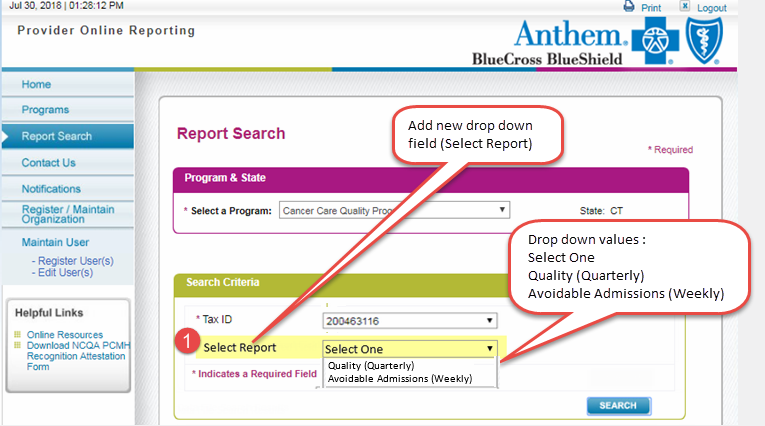 There is a new report available for oncology practices from Anthem via Availity. Using a unique predictive analytics model, the report scores chemotherapy patients at a practice with their risk for a potentially avoidable admission. The weekly report uses many variables to determine a patient’s individual risk for being admitted to the hospital while in treatment. This tool can help an oncology practice to be aware of high risk patients, and plan interventions or resource utilization accordingly. The tool was piloted with five practices including community and academic oncology with positive feedback. This report is accessible through the Availity portal as shown below. For questions about this report or about Anthem’s Cancer Care Quality Program please email: cancer.quality@anthem.com. Make sure user has Log In for Availity and access to the online reporting function.